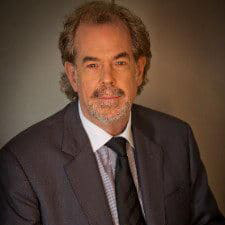 Michael E. Bernard PhD is an international consultant to universities, business, not-for-profit organisations, educational authorities and governments. He is the Founder of You Can Do It! Education, a program for promoting student social-emotional wellbeing and achievement that is being used in thousands of schools in Australia and overseas. He received his doctorate in educational psychology from the University of Wisconsin, Madison, and was appointed Reader and Coordinator of the Master of Educational Psychology Program at the University of Melbourne. Professor Bernard has worked closely with children of all ages and their families while counselling at one of Melbourne’s leading private schools. He was the first sports psychologist at the Collingwood Football Club. Professor Bernard is a co-founder of the Australian Institute for Rational Emotive Behaviour Therapy and the author of many books on REBT. For eight years, he was the editor-in-chief of the Journal of Rational-Emotive and Cognitive-Behaviour Therapy. Over the past decade, he has focused on the design and conduct of high performance and resilience professional development programs. He is the author of more than 50 books, 20 book chapters and 30 journal articles in areas associated with peak performance, resilience, parenting, mental health and school improvement. Today, Professor Bernard consults with business and the public sector on personal effectiveness, positive psychology, stress management and the high performance mindset, and is Executive Director of The Bernard Group.